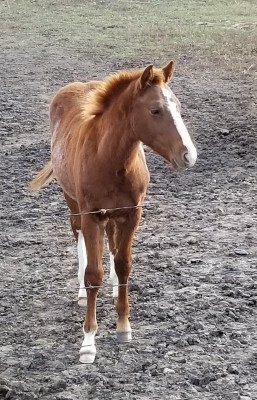 AQHA Pending - Tucker is a sorrel rabicino colt by EBR Stormin Norman and is out of Instant Covergirl. 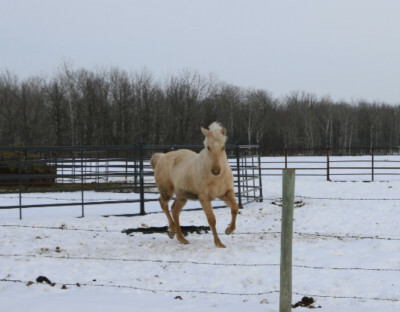 He is a shy boy who should excel in the cutting/cow horse pen. He is offered for sale. 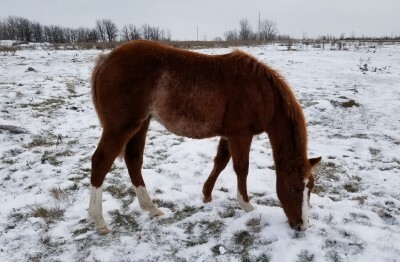 Smooth as a Cadillac aka Otis is a 2016 sorrel colt. He is by Haidas Smoothie and out of Smart Taris Cadillac. Haidas Smoothie has won over $5,000 in NCHA as well as his COA. 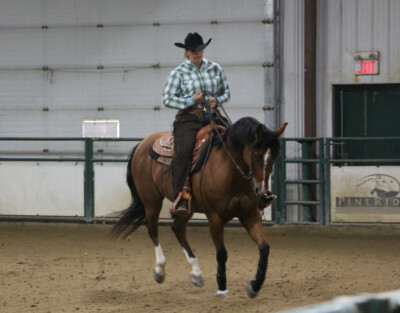 Smart Taris Cadillac is a granddaughter of Taris Catalyst; a world champion cutting horse who also competed in reining and sired earners of over $750,000. Haidas Rey of Hope aka Peiper is a 2013 chesnut filly. She is by TR Dual Rey and out of a daughter of Haidas Little Pep. Her maternal sister is an NCHA earner of over $25,000. 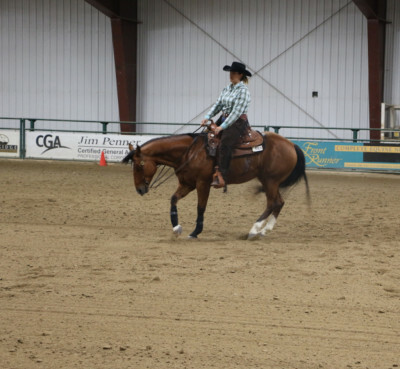 She has had 3 months of cutting training at Darroch Performance Horses. 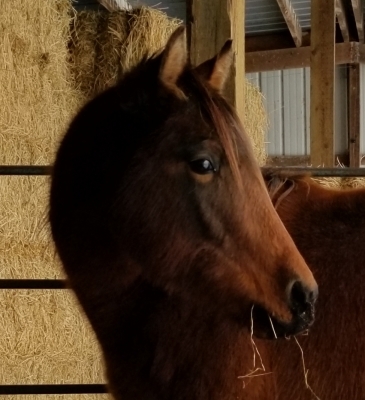 Jacs Chocolate Gal aka Willow is a 2008 bay mare. She is by Chocolate Chic Olena and out of Little Jackie Oh. 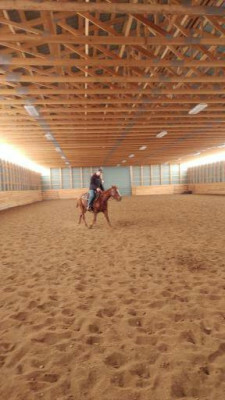 She is a finished reining mare. She made her debut in the showpen in 2017. She has a HARD stop, nice spins and a beautiful low head set. Chocolate Chic Olena is an AQHA World Champion in Reining, and a 4 Time AQHA Reserve World Champion. He is also a 2-Time USET Open Qualifier Champion. His limited offspring have earned over $1,000,000 in NRHAcompetition. Little Jackie Oh is an own daughter of the great Hollywood Jac 86. Video of one of her competition runs is available upon request. She will be bred to This Guns for Nic in 2019. 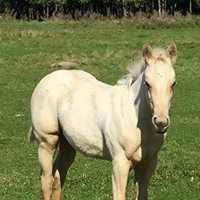 Gun N for Gold is a 2016 palomino colt. He is by Chic Please and out of a daughter of Got to Last (by Got Pep). Congratulations Guy Robertson Performance Horses! We look forward to seeing Harley in the showpen!! 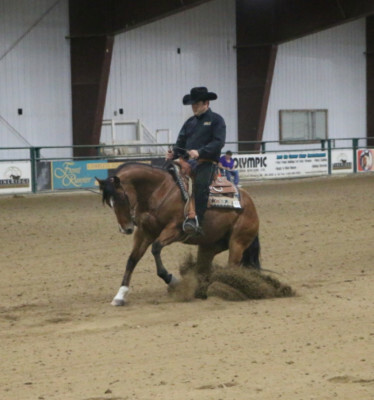 Update: Haryley is excelling in his training and is on track for the 2019 NRHA Futurity. Pistol Playin Chic - Grace is a 2017 solid bay filly. She is by No Guns Please and out of our ranch mare Playgirls Gotta Gun. No Guns Please has LTE of over $25,000 and produce earnings of $22,000 and counting. 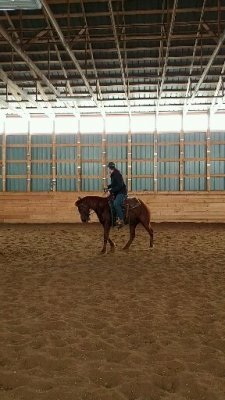 He has earning is NRHA, NRCHA and AQHA. Congratulations Guy Robertson Performance Horses on your purchase of Grace! 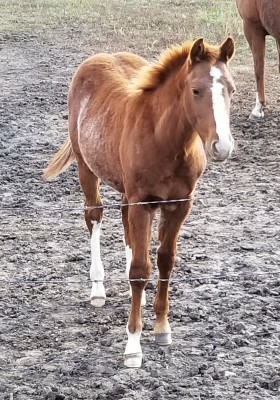 Cant Outrun theStorm - Oliver is a 2017 sorrel rabicino colt. He is by EBR Stormin Norman and out of Instant Covergirl. EBR Stormin Norman has LTE $4250. He was the 2010 Boise Valley CHA Events 4yr Open Champion and 2010 NCHA Days 4yr Reserve Champion. Instant Covergirl is an own daughter of $5 million sire SR Instant Choice. 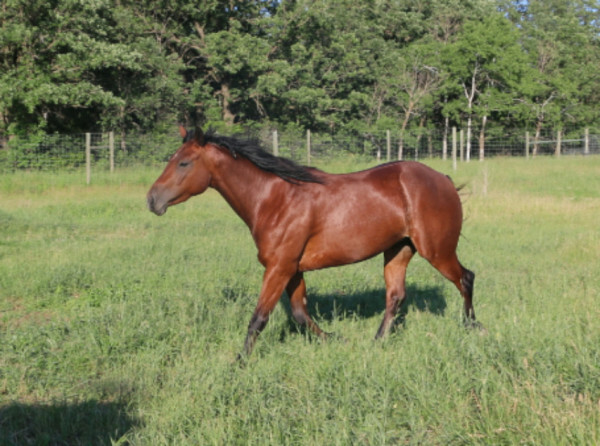 She is out of Olena Covergirl: a daughter of miltiple million dollar sire in NCHA, NRCHA and NRHA Smart Chic Olena. Congratulations Norm on your purchase of Harmony! 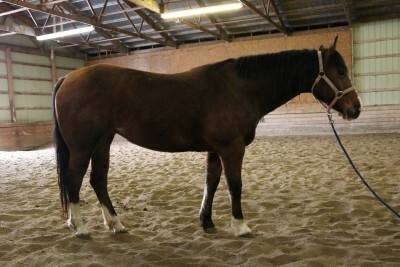 Smart Taris Cadillac aka Siph is a 2011 sorrel mare. She is quiet, sweet and the first one to the gate. 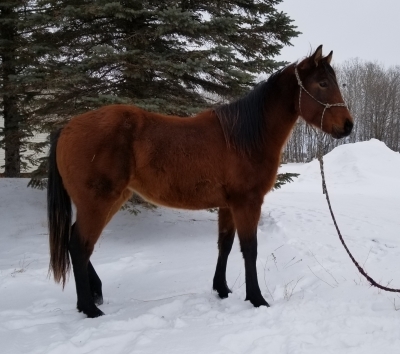 She has had one foal for us, a very nice 2016 cow bred colt (listed above). She was a very easy breed by live cover. 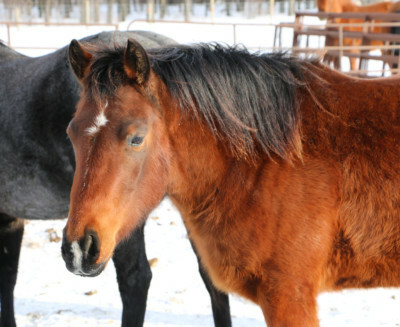 She was started at 2 covering ground work and had a few rides under her belt when the snow hit. She had a few more rides in her 3 yr old year and then sat for a year while other horses took precedence. 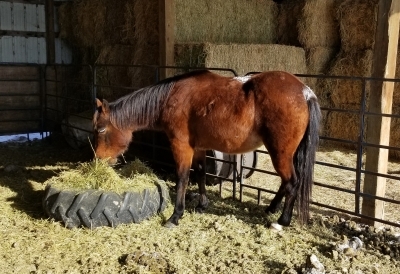 After having her colt in 2016, she continued her training in 2017. 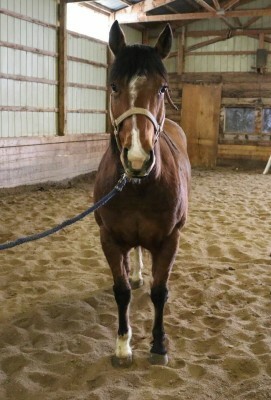 She would excel as a 4H, family and/or trail horse. Copyright © 2013 Memphis Ridge Ranch - All Rights Reserved. All content including data and images may not be used without the express written consent of Memphis Ridge Ranch.